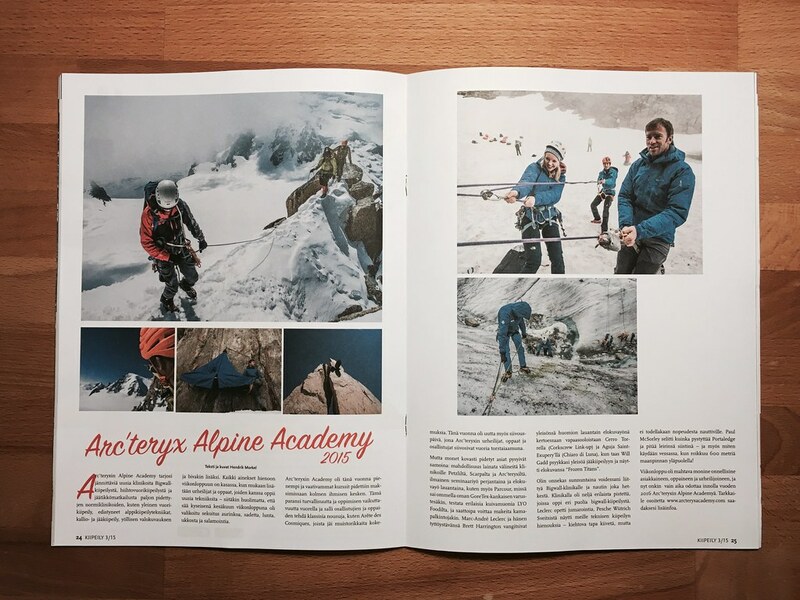 Magazine articles about the Arc’teryx Alpine Academy, gear reviews and a long Via Dinarica Trip Report - a handful of articles for climbers and backpackers which will make for entertaining autumn afternoons! 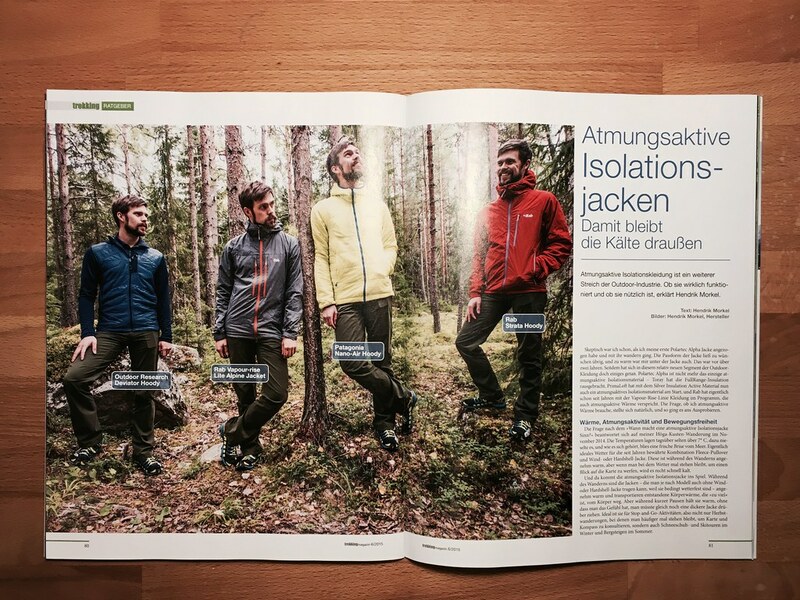 For the trekking Magazine I went out and hiked in the three breathable insulation jackets (think Polartec Alpha) and evaluated if it’s a garment type that’s useful for hikers & backpackers or can be ignored. The second article is a long trip report on my Via Dinarica hiking adventures. If you can read German you’ll appreciate the details on planning your own Via Dinarica hike. Pick up the current issue at your local news agent or order it here. 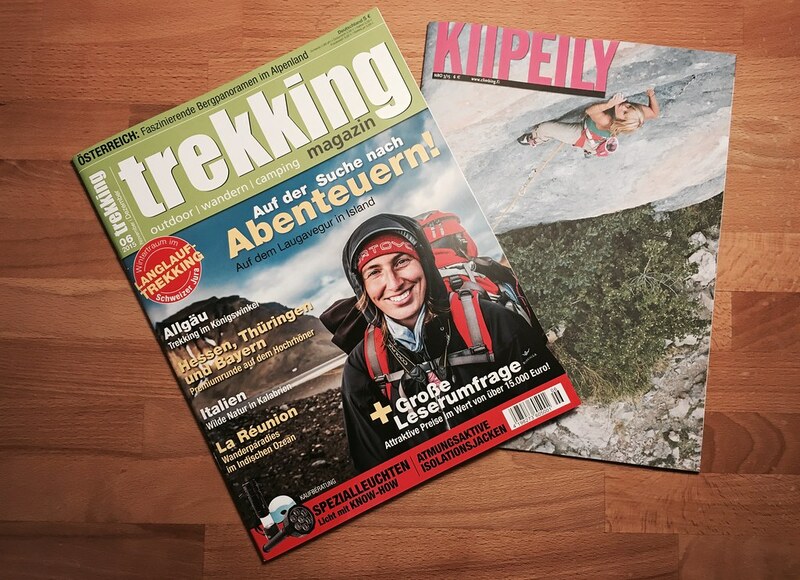 Kiipeily is the member magazine of the Finnish Climbing Association where I’m a Gear Editor and also contribute trip reports. This time I reported on the Arc’teryx Alpine Academy and in my gear columne reviewed the new Petzl Laser Speed ice screws and the Scarpa Rebel Ultra GTX mountaineering boots. To get the magazine join the Finnish Climbing Association.